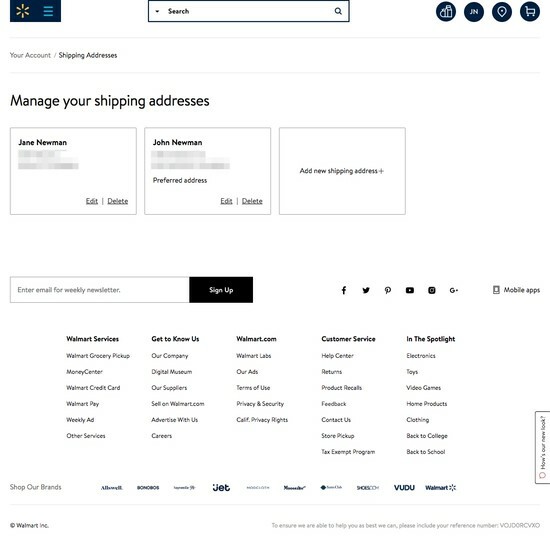 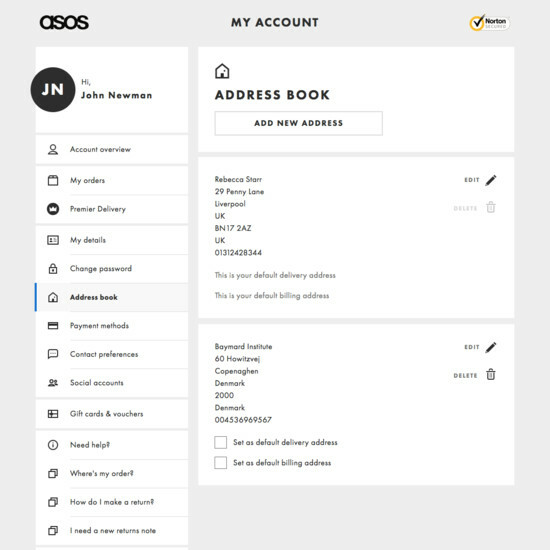 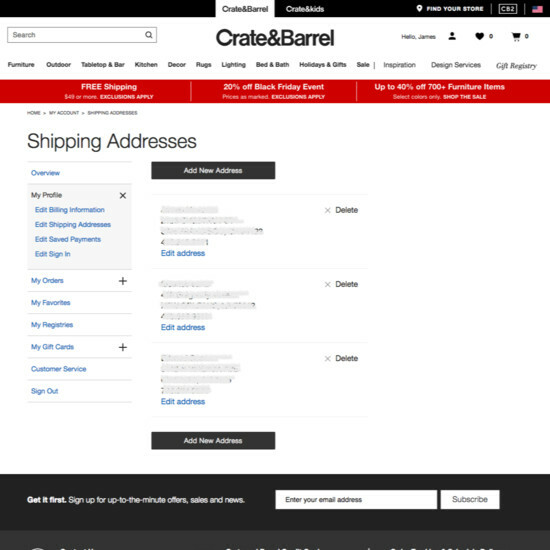 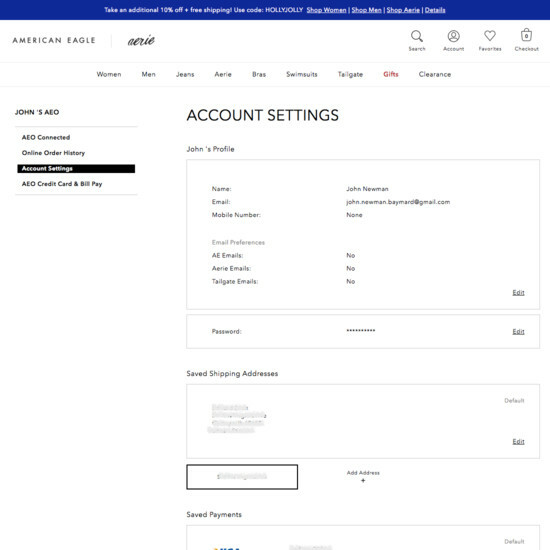 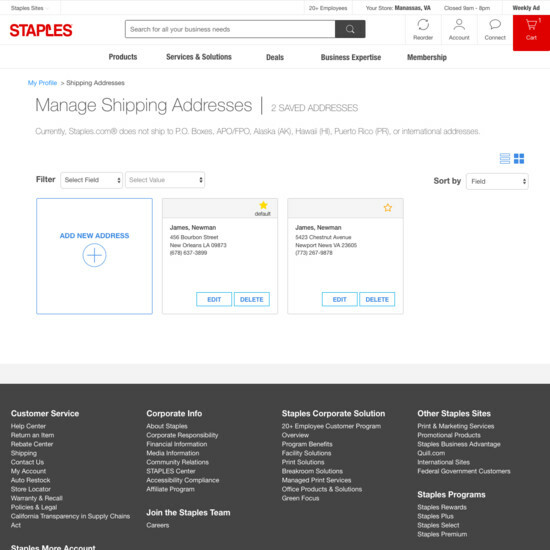 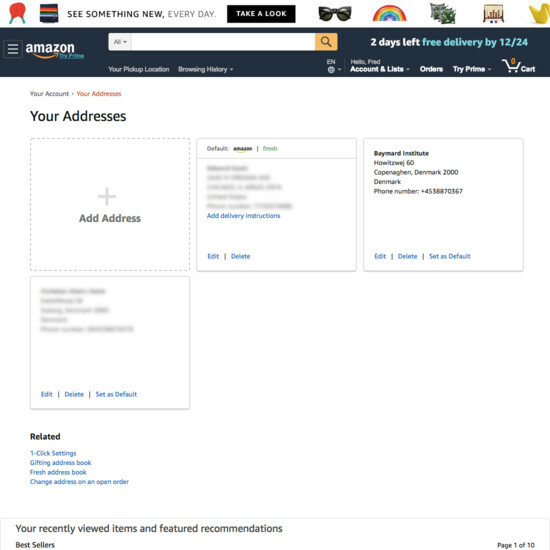 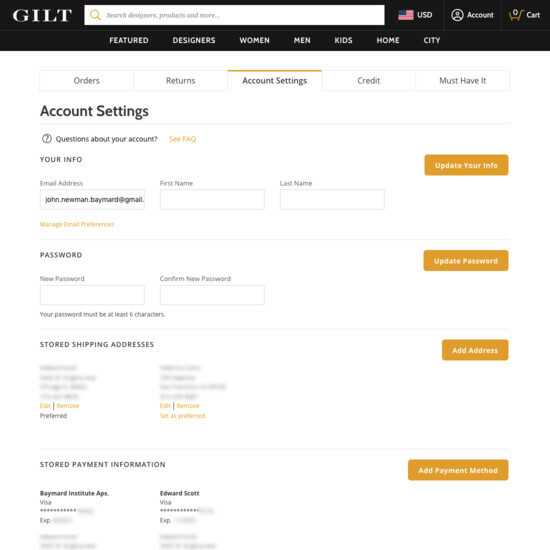 The concept of ‘Stored Addresses’ are somewhat unique when it comes to e-commerce account features, because users can both manage the stored addresses while within their Self-Service account area, or manage their stored addresses directly during the checkout flow. 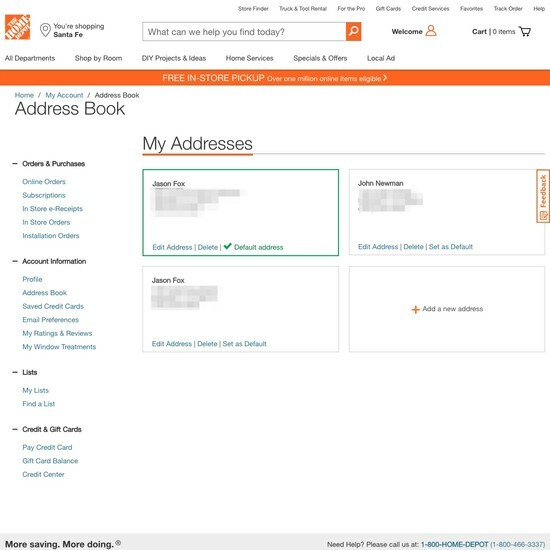 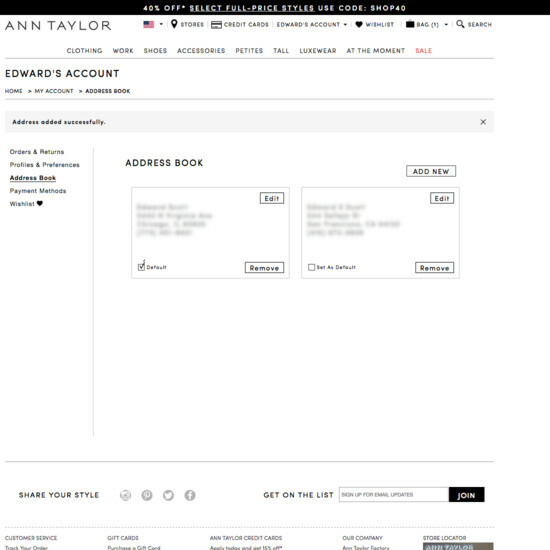 In practice this means that most of the addresses in a user’s ‘Address Book’ haven’t been added from within that interface, but rather during the checkout flow. 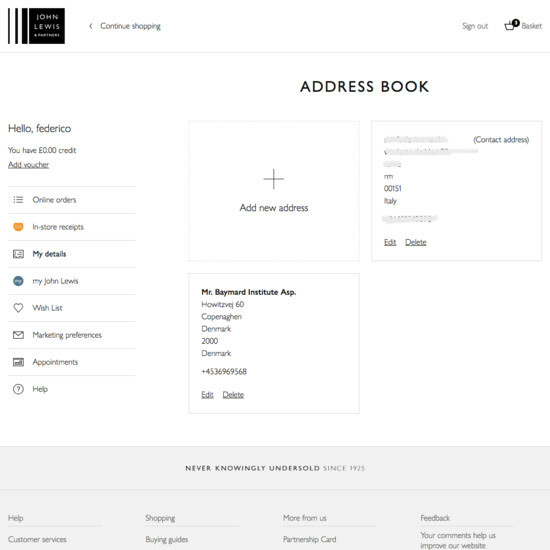 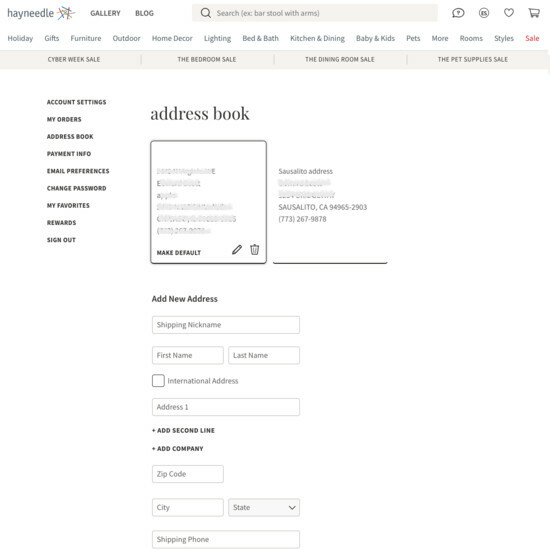 During our large-scale usability testing this special context was observed to set forth a series of requirement of ‘Address Book’ designs – particularly in regards to editing an existing address vs. adding a new address, and setting a “default address”. 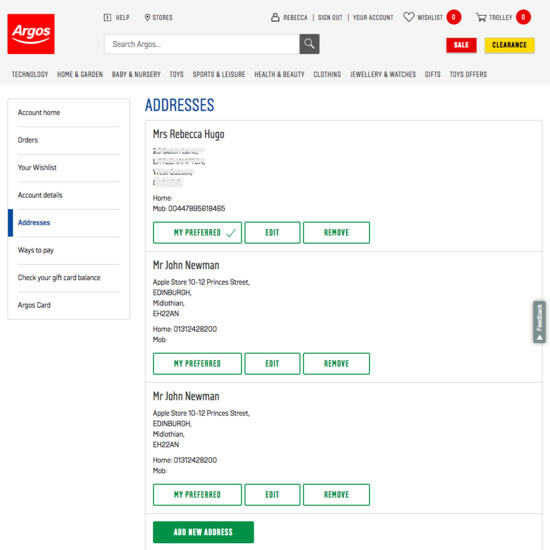 In our quantitative studies we’ve found that 7% of users mainly access their e-commerce account’s Self-Service area to edit or manage their stored addresses. 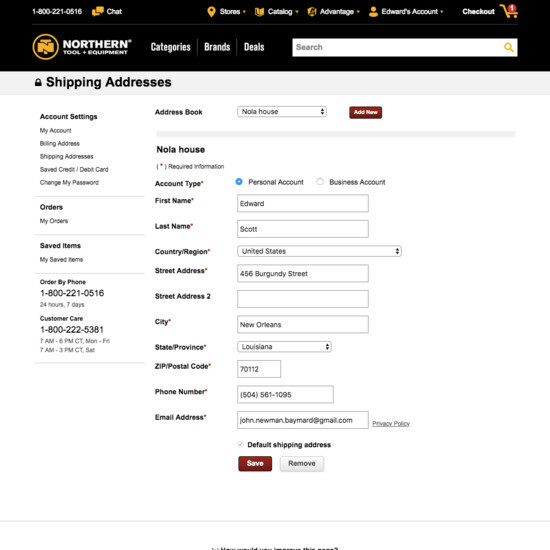 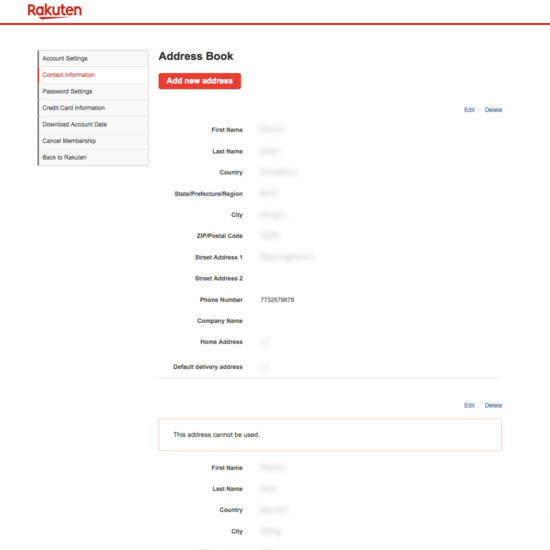 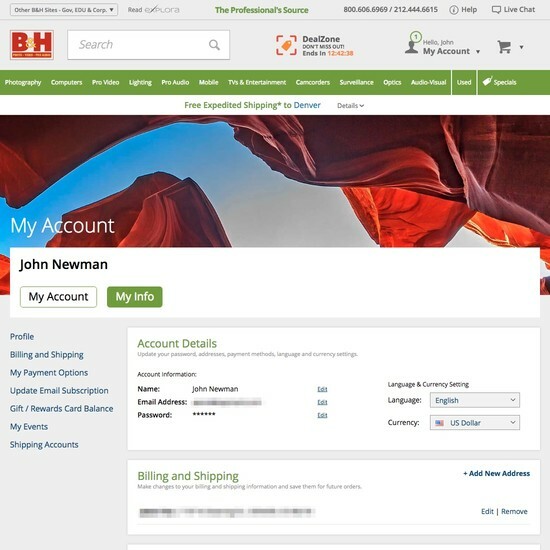 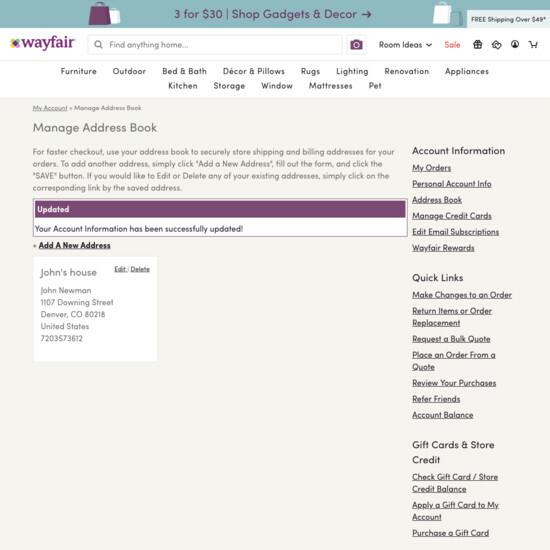 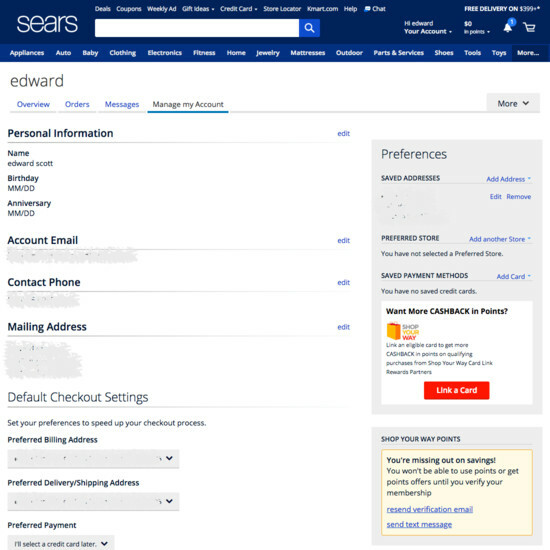 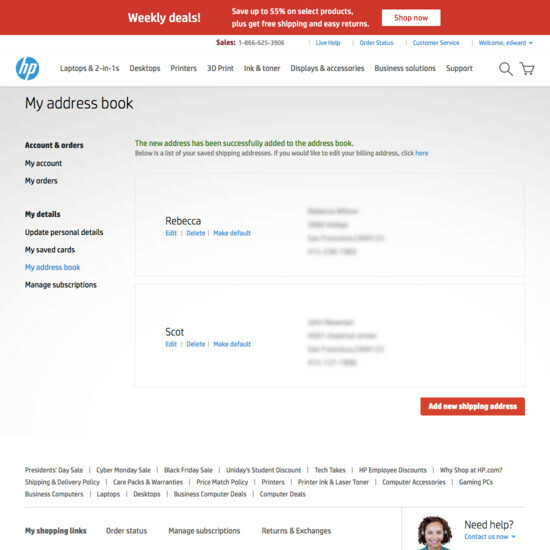 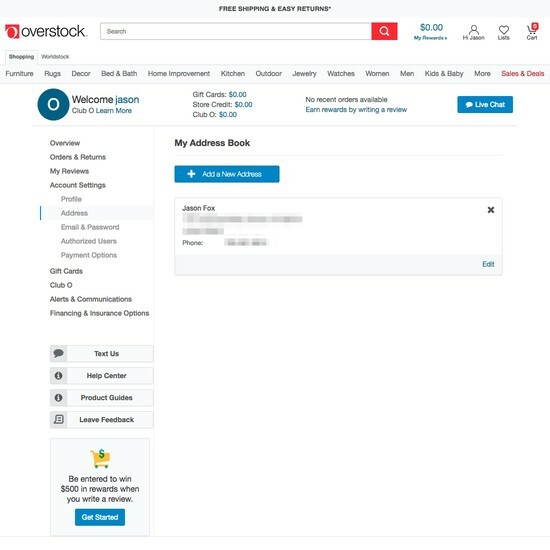 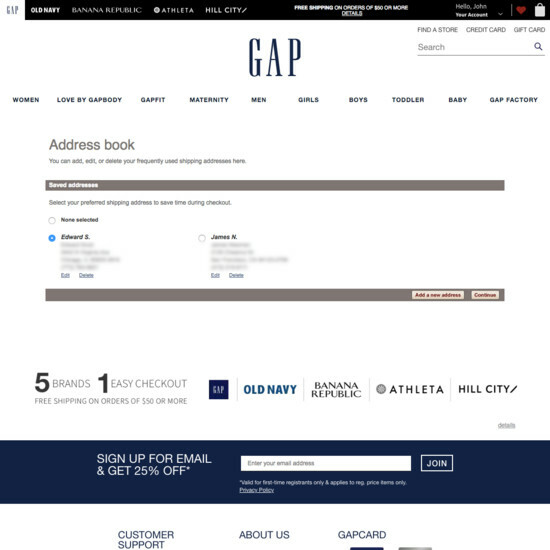 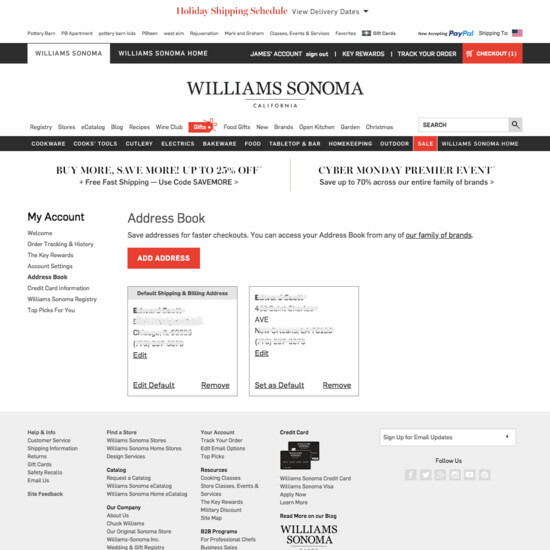 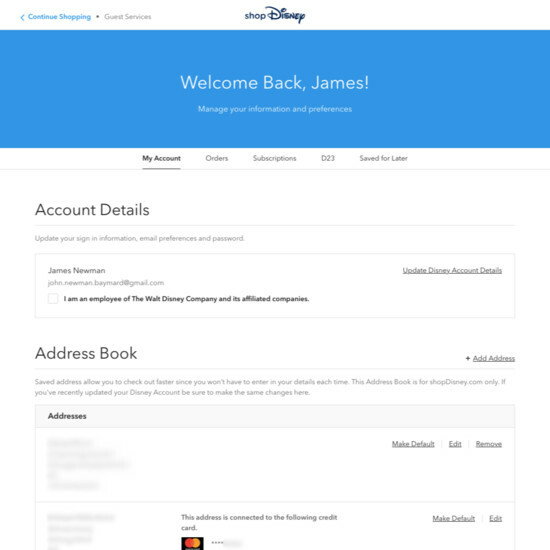 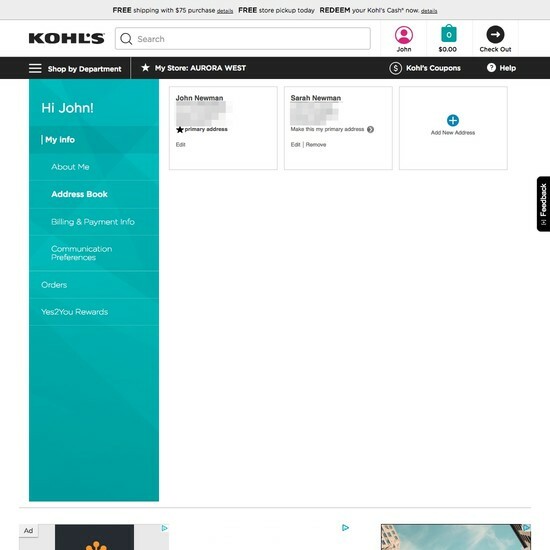 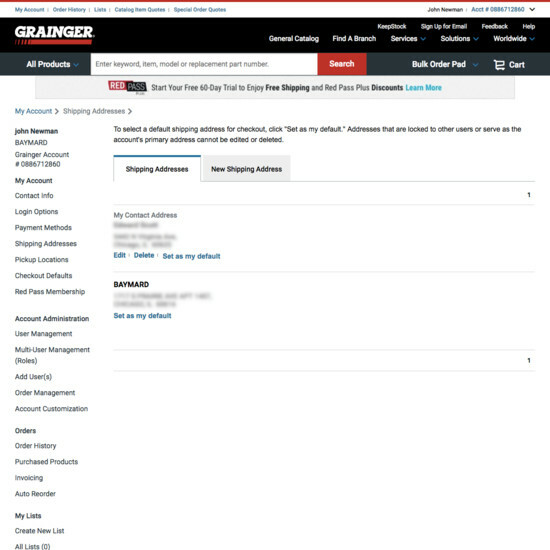 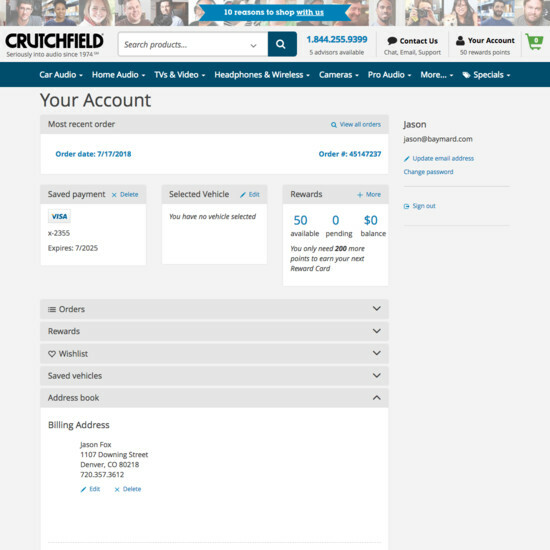 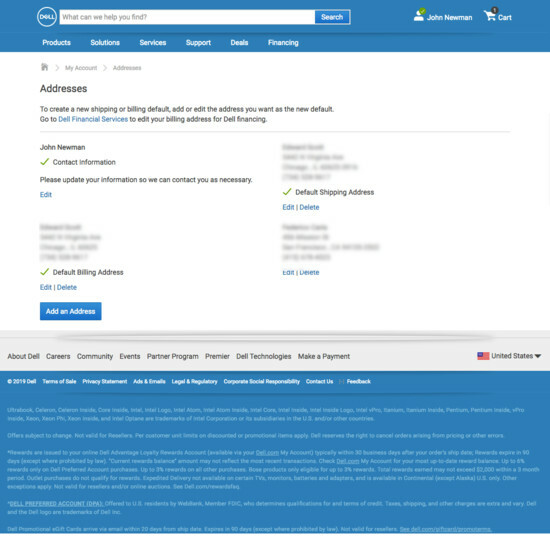 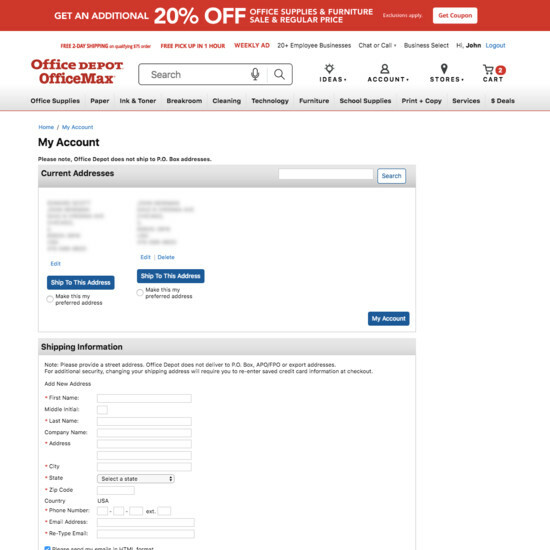 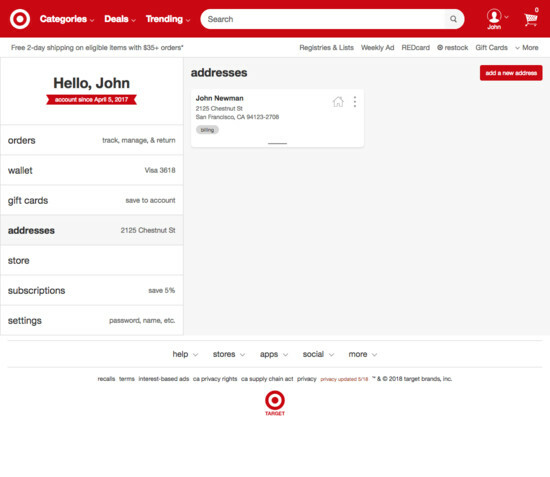 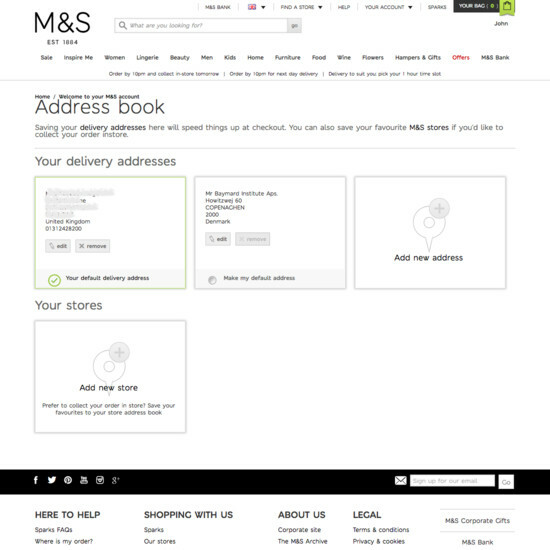 In our qualitative large-scale usability testing we’ve also found that while ‘Address Book’ is often used as a term for this feature by web professionals, normal users have issues recognizing this terminology (likely as most users didn’t add their addresses themselves, they were automatically added during checkout), hence the feature should generally not be labelled ‘Address Book’ in the account interface. 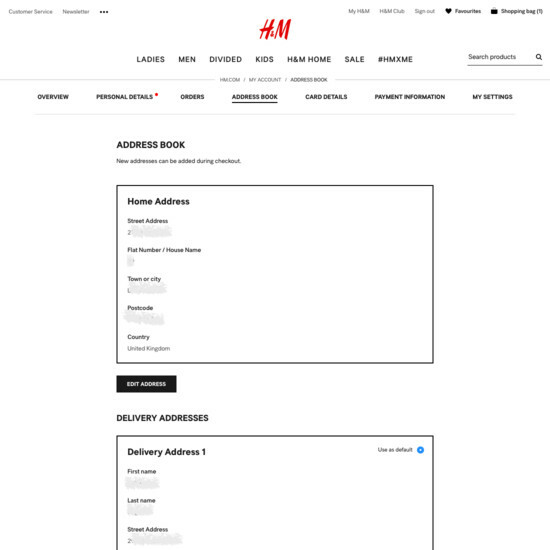 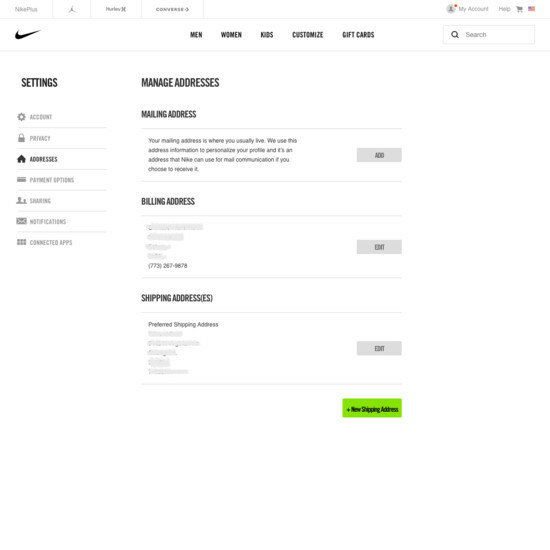 During testing we also observed that some sites nudge users to either “edit” or “add” an address, rather than present the options equally in the interface. 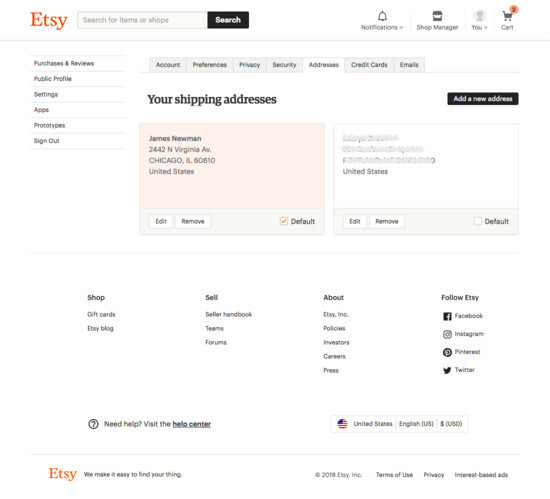 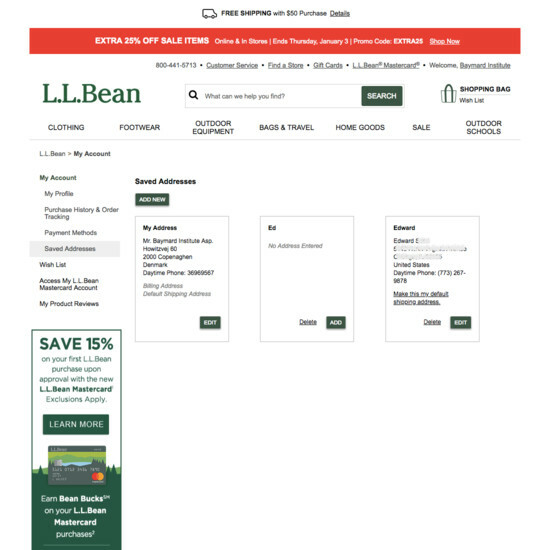 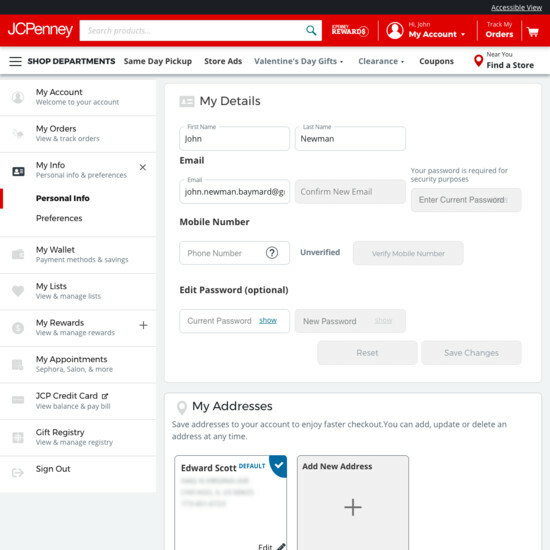 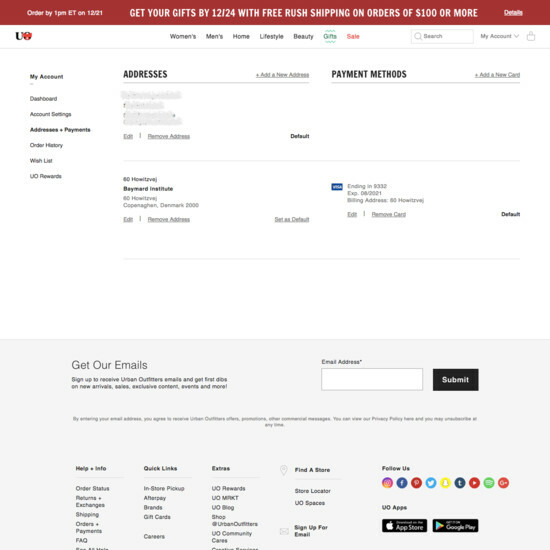 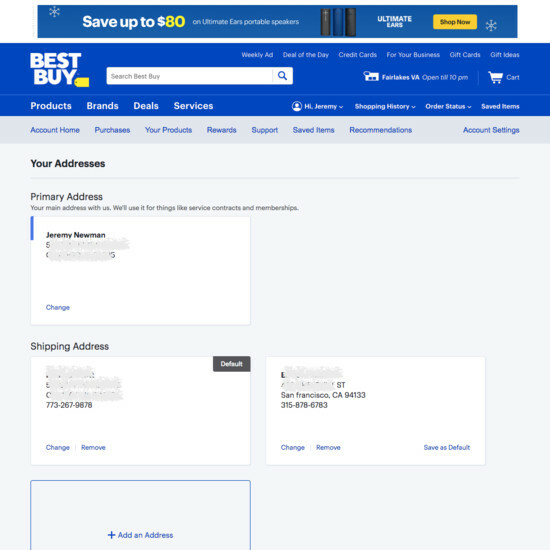 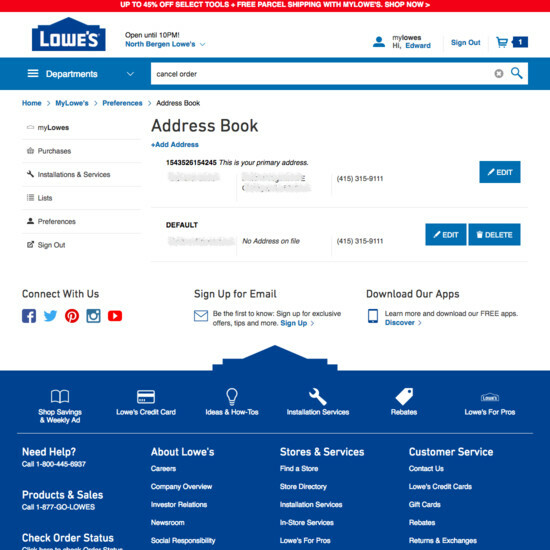 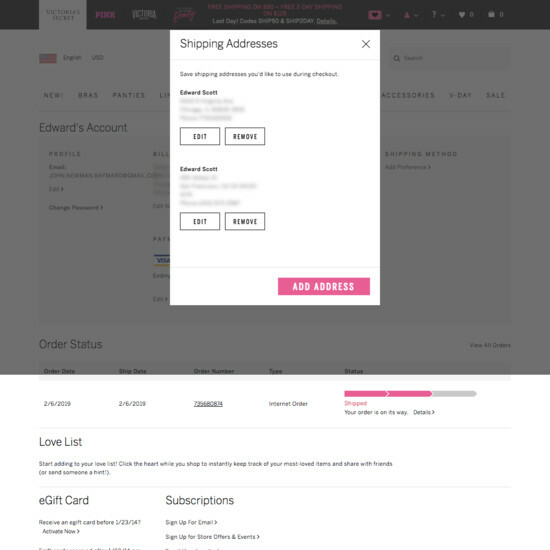 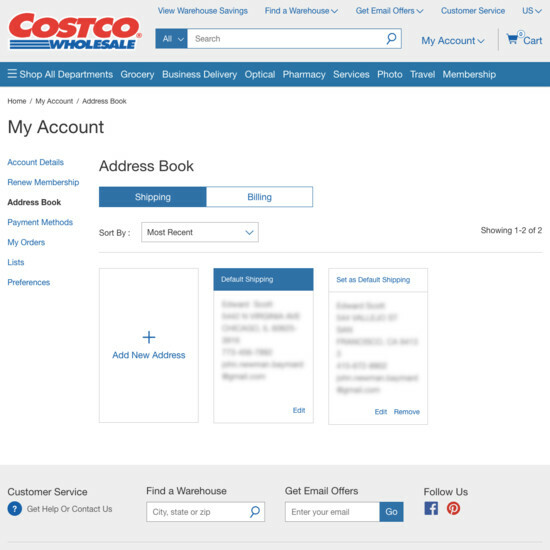 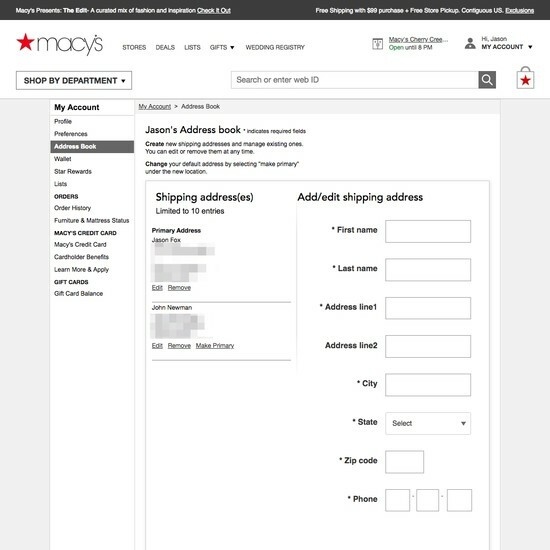 As a result, users who are nudged to, for instance, “Add” rather than “Edit” an address tend to accumulate outdated addresses, increasing the chance that the user will select the wrong address during subsequent checkout. 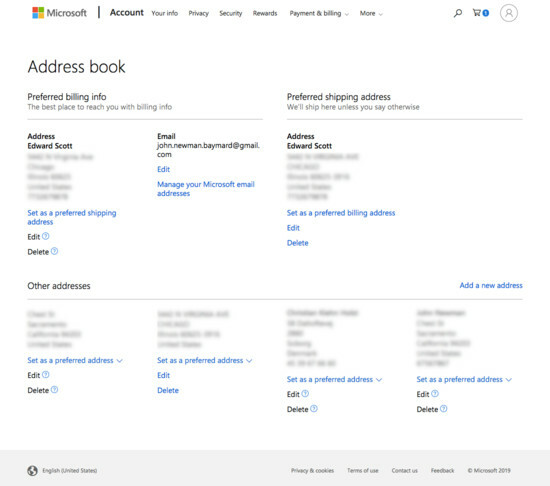 Learn More: Besides exploring the 41 “Address Book” design examples below, you may also want to read our related articles on “New Research Findings on ‘Accounts & Self-Service’ UX”, “‘Cards’ Dashboards Must Be Highly Consistent and Appropriately Styled”, “Form Field Simplification”, or see the related page design examples for “Shipping Address” step during Checkout flows.